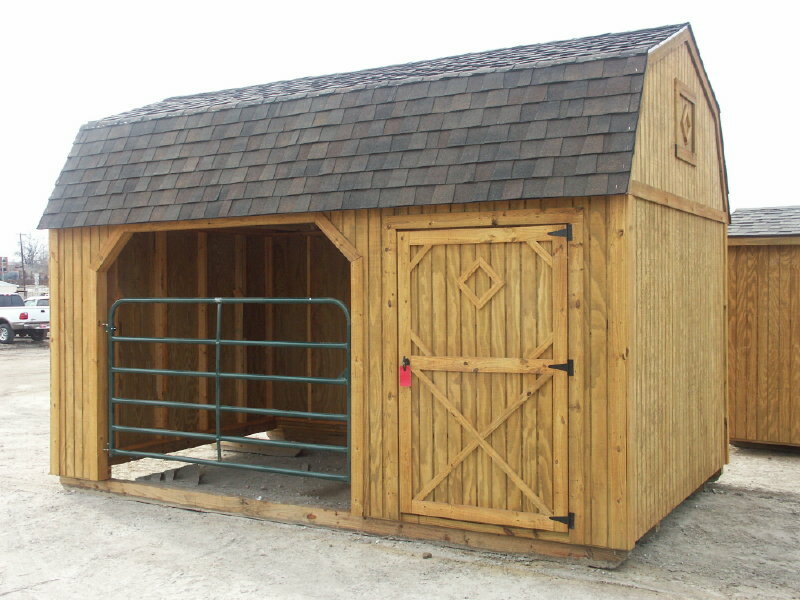 The Twin Stall Livestock Shed includes all the same features of the single stall, and provides a second livestock stall with a centrally located tack room in between the stalls. All models feature overhead lofts for storage. Your Better Built building can be customized, allowing you to specify such things as door and window sizes and locations, shingle colors that blend with existing structures, or a metal roof option. 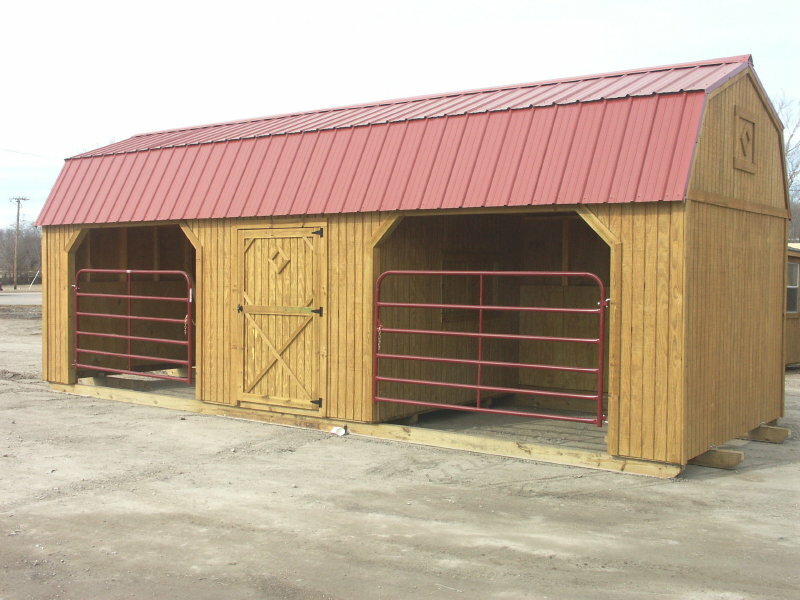 Built upon sturdy 4x6 pressure treated skids with treated floor joists and heavy duty 3/4" plywood flooring, the Livestock Shed is built to provide many years of trouble free service.